Change your smile and change your life! The power of a smile, and the confidence it exudes is immeasurable. The Drs. at Hunt Smile Design know this, and have trained at some of the top cosmetic and restorative dental institutes in the world. These include: the Pankey Institute for Advanced Dental Education in Key Biscayne, FL, The Dawson Center for Advancement of Dentistry in St. Petersburg, FL, The Las Vegas Institute for Advanced Dental Studies in Las Vegas, Nevada, and many more. The Drs. Hunt are devoted to giving you the best smile and personalized care available. To learn more about this, contact our office. Porcelain veneers are one of the most versatile and long-lasting options for smile restoration. Thin sheets of porcelain placed over each tooth can correct misalignment, discoloration, gaps, cracks, chips, decay and general wear. 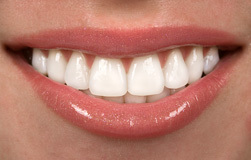 These veneers appear, function and require the same amount of oral care as your natural teeth. To learn more about this, contact our office. 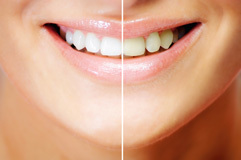 If you’re looking for whiter, brighter teeth in less time, then we have the answer! The Zoom! Whitening System combines trusted whitening agents and materials with state-of-the-art technology to whiten your teeth up to eight shades in less than an hour. If at-home whitening is your preference, the take-home bleaching tray method is also available. To learn more about this, contact our office. Dental bonding can improve the overall appearance of your smile, and it is the least expensive of all cosmetic dental procedures. Bonding is a quick and painless method for correcting minor esthetic needs. To learn more about this, contact our office. The Drs. Hunt are studied extensively in the advanced treatment, planning and restoring of dental implants. 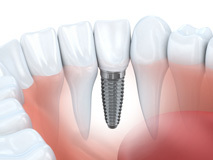 Dental implants are used to restore a missing tooth’s beauty and function. They can be used when a single tooth or, in some case, when multiple teeth have been lost. These implants are long-lasting and provide a strong foundation for dental restorations. This advanced treatment allows patients to once again have a full and beautiful smile. To learn more about this, contact our office. Sometimes when a patient is missing a single or multiple teeth, they may not be a candidate for an implant. An alternative solution is available known as the bridge. 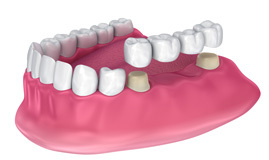 A bridge replaces missing teeth, and is bonded to adjacent teeth, therefore it is not removed. Bridges and crowns are very similar restorations, but bridges involve multiple teeth while crowns involve one tooth. At Hunt Smile Design, we use the finest materials and labs available to insure the highest quality function and most natural appearance. To learn more about this, contact our office. When a tooth fractures or breaks the tooth can be both painful and unsightly. To quickly restore tooth function and appearance, The Drs. Hunt may recommend a crown. At Hunt Smile Design, we offer state-of-the-art technology that eliminates the need for dental impressions. Instead we use intraoral cameras that digitally scan the teeth and allow for a crown to be delivered in one day through the use of our CEREC technology. To learn more about this, contact our office. 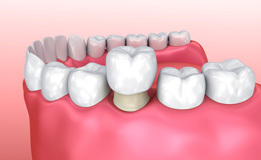 Inlays and onlays are used when a tooth needs more support than a regular filling. 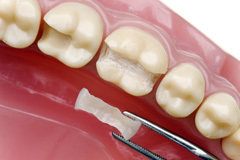 Generally the materials used for inlays and onlays are a little bit stronger than traditional composite fillings. At Hunt Smile Design our CEREC technology allows us to use these superior materials and deliver these restorations in a single appointment. To learn more about this, contact our office. At Hunt Smile Design, we offer Invisalign® clear aligners as a method to improve the aesthetics of your smile. 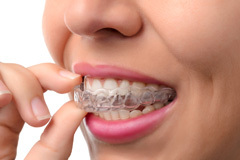 Invisalign is an easy, invisible way to straighten your teeth without the use of metal brackets. With the use of Invisalign Hunt Smile Design can provide a customized care option for patients looking for a quick, hassle-free beautiful smile. To learn more about this, contact our office. Hunt Smile Design has a reputation for providing top-notch denture care. Our expert knowledge allows us to provide both traditional partial and full dentures, as well as implant-supported partials and implant-supported full dentures. Dentures are an effective way to replace natural teeth and their surrounding tissue. To learn more about this, contact our office. Dentistry can play a role in solving your recurring headaches and migraines. Most patients don’t realize that grinding or clenching your teeth can cause headaches around your temples or the sides of your head. This mostly occurs at night while you are asleep. This pressure can cause stress and inflammation to the temporomandibular joint (TMJ). The Drs. 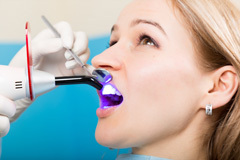 at Hunt Smile Design have studied extensively in this area of dentistry, and are highly trained in alleviating this pressure and inflammation through suggestions about diet, physical therapy and anti-inflammatories. In addition, the Drs. Hunt may suggest and provide a custom-made occlusal guard (night guard) to further help rid you of this discomfort. To learn more about this, contact our office. Periodontal gum disease is an infection caused by oral microorganisms and bacterial plaque. In order to treat this infection and prevent tooth loss, it is best to be diagnosed early and to begin with a non-surgical approach. 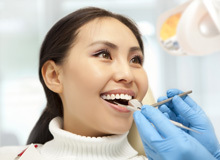 At Hunt Smile Design, we provide scaling and root planing, as well as the use of high tech ultrasonic devices that can be fine tuned to allow for minimal discomfort. To learn more about this, contact our office.